Warner Grayson is gambling everything he's got to raise Thoroughbred horses with Laura Pico. But they've been having trouble mixing pleasure with business, and can barely agree on the only obvious solution: to get hitched. Though it'll be a rare day when they're both set to say "I do," they've nonetheless set out on a buying trip that'll make or break their new ranch. Warner's studying some prize specimens at a Louisiana horse farm while the breeder's son is busy making a play for the comely Laura. 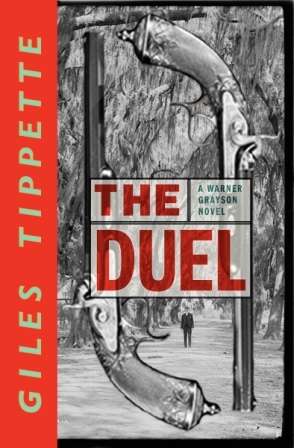 And then the bogus Southern gent challenges Warner to a duel, but not before the fight's been rigged. Warner stands to lose the horses--and his life--unless he can summon a Texas-sized lesson from his Colt revolvers--and some fiery support from his bride-to-be. Former rodeo cowboy, gold mine owner, mercenary pilot and forever a man of Texas, Giles Tippette was one of the West’s most beloved storytellers. He passed away in October 1999.